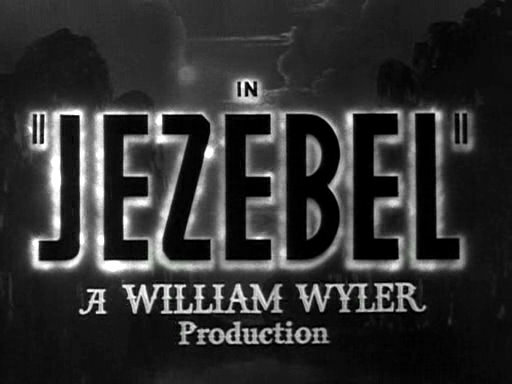 Jezebel with Bette Davis and Henry Fonda, directed by William Wyler. Since I didn't like Test Pilot too much I decided to go ahead and watch this one. 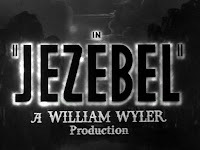 I have seen Jezebel several times. Bette Davis won a Best Actress Oscar for her prideful, pre-Civil War, Southern Belle. It was her Gone With the Wind. This is a great movie. I didn't really notice much different this time except that Stymie and Rochester played two of Bette Davis's slaves. 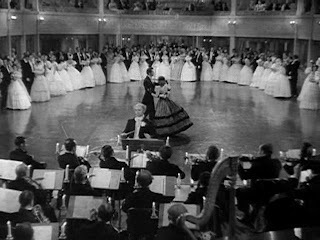 I always think it's funny that the really big scandal of this movie is that Bette Davis wears a red dress to the Olympus Ball instead of a proper white dress, but the movie is in black and white. A red dress! Scandal and ruin!